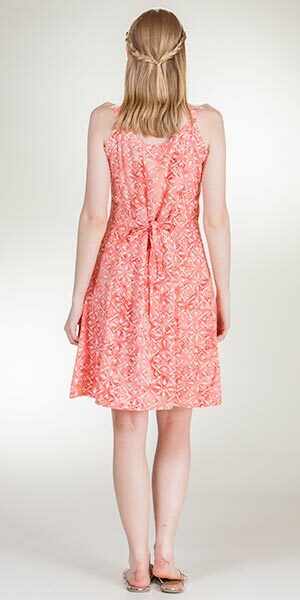 Tie-Back Sundresses - Tie-back dress comes in a white print on a coral batik background. 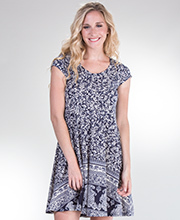 Lost River Clothing's hand-painted dresses are crafted for a one-of-a-kind look. Care Instructions: Wash by hand or separately in cold water on gentle cycle; hang to dry.